Second graders have been learning about number patterns. When we checked out our blogging buddies blog in New Zealand, we were pleasantly surprised to see that they were studying patterns just like us! Here is a video Mrs McKenzie's students made to share some patterns they'd discovered! They made number pattern posters. We loved the ideas and have recorded our learning as well! 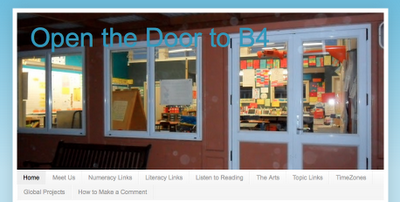 Thanks, Open the Door to B4, for the inspiration! Patterns from yourwonderfulteacher on Vimeo. Can you answer any of the questions from our video? Do you see any patterns in your home? My question was "How many horns would be on five triceratops?" I will answer mine. It would be fifteen. Does anybody agree? I will answer some of the questions that second grade did. Here is the baseball question. He said, " How many bases are on five baseball diamonds?" The answer is twenty bases. This is the cheetah question. She asked, " How many legs are on four cheetahs?" There are sixteen legs on four cheetahs. Hi it's me! Try to figure out who I am. It's either Heather, Shayna, or Chloe. Here is two really helpful hint: She leaves a lot of comments. This is the second one: I have a dog named Rocky. Triceratops, you asked if anybody agrees. I agree on all of them. Now I am going to give you a pattern. Tell me the rule. Here are the numbers: 2,4,6,8,10,12,14,16,18,20... Triceratops, do you like patterns? I do. I think you might be Heather. I thought it was you because you have a dog named Rocky, and you leave lots of comments. The rule your talking about is two. Can you guess what person I'm thinking about? He's tall, wears a top hat, and he was our sixteenth president. I know who your person is. It's Abe Lincoln. How do I know? Because he was our sixteenth president, he wore a top hat, and he was very tall. Triceratops, I agree with Abbey that you are Heather. Are we correct? Now, can anyone tell me who this person is? 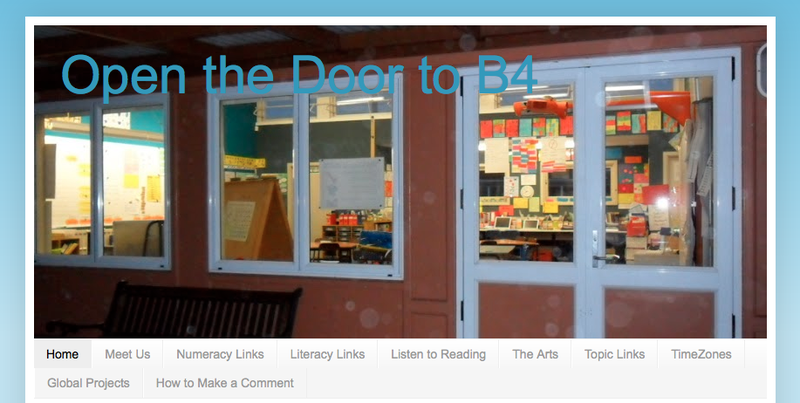 She is a teacher in New Zealand, she is one of Mrs. Yollis' blogging buddies, and she has a blog. You are BOTH right! I am Heather! Abbey, I think it is Abraham Lincoln. He does wear a top hat, he is tall, and he was our sixteen president. Collin, you asked if anyone can answer your question. The answer is yes because I am about to answer your question. I think it is McKenzie. Am I right? Now can anyone tell me how I usually come to school? It has four wheels and you drive it to a place you want to go. The thing your talking about is a car. You gave me a hint when you said it drives. Try to answer this. I am vast; fish and mammals live in me. People drive boats on my surface. What am I? I am very tall; I use to be copper. On this present day, I'm a greenish blueish color. I stand for freedom. Collin, try to answer this. 6 is afraid of 7 because 7 8(ate) 9. I will answer one more of your questions. I will also answer the one about the copper thing. It is the Statue of Librety. Am I correct? Now I have two for you. The first one is, a brown bear that is one of our class mascots, he has he's on movie on the blog. Who is he? The next one is, a person in our class, that loves baseball, he is not a thrid grader. Who is he? How exciting! I loved watching Mrs. Yollis' class video as well as that of our blogging friends from New Zealand! Our school has great partnerships going on for some great causes! How neat is it that they have partnered health, fitness, recycling and charity? This year, Mr. Detamore is collecting bottles and cans to recycle towards the fundraising efforts of the school team that will run in the Classic (which benefits local families facing catastrophic illnesses.) The school's fundraising will go directly to your fellow student, Matthew! Assuming that each of the blue recycling bins outside of each classroom can fill 15 bottles/cans a day, how many bottles/cans would be filled in 2 recycling bins? How about 3? How about 4? Great job with patterns and, hope this one inspires you all to fill up those bins and realize how great a contribution it would make towards the environment and charity! We have just come back to school from our school holidays and we got a surprise to see your video! Nikki was impressed with the way you shared your charts. Tarris was impressed with the questions that you asked. Aleigha noticed that some of the ideas were similar and some were different. Liv wants to tell you that she has just moved in to B4 from B5, with three other students, Gabriel, Cruiz and Billy. We think your charts are mighty fine. I never heard of that cheer! We got ours from the baseball players. Where did you get yours from? It was so enjoyable to see your pattern chart. Just like Aleigha figured our that some things we did were diffident, and others were the same such as: we had questions and pointers, and you didn't. Instead, you told us what the rule on each poster. I thought both ideas were great! We made up our cheer. Our names are Lukah and Louisa and Nikita. We noticed that some things are the same and some are not, such as counting legs on stools. Hi, I'm Millie from 4KJ at Leopold Primary School. Both grades did great videos of patterns. Patterns are everywhere!